Through the years, I’ve learned a lot about sourcing goods and materials from overseas. While it does take some finesse, I can tell it you that it’s well worth the effort. I started my company because I love crafts and wanted to create an e-commerce site to sell imported, recycled hand-spun silk yarn from India. Today, Darn Good Yarn not only gives our customers access to fabulous products, but we also enable 600 women in Nepal and India to use their skills to support themselves and their families, as our suppliers. 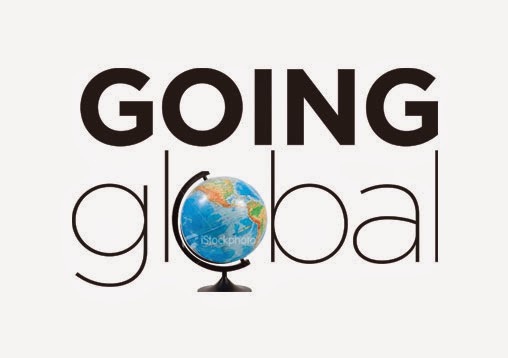 Working with a global supply chain can give you the opportunity to offer unique products you may not be able to find domestically. It connects you with people on the other side of the world. And, in our case, it also enables us to make a positive impact on people’s lives while running a successful small business. 1. Make sure the supplier can scale with your needs. What is your maximum output capacity? Although I never recommend placing a big order the first time you work with new suppliers, you should know their highest estimated output. The last thing you want is to start offering a product, get huge orders, then discover that your supplier can’t deliver. I won’t take suppliers on unless they can meet my projected demand. I always prefer to work with suppliers who are also small business owners, like me. While it’s important to build strong relationships with your suppliers, never forget that you’re making a business transaction. As the customer, you have to negotiate payment terms that are favorable to you. For example, I typically pay 50 percent upon placing the order and 50 percent on delivery. I’ve found that if the supplier asks for the total payment up front, that’s a sign that they’re sourcing the goods from somebody else. That’s a red flag to keep looking until I find the actual supplier. No matter how great you think the vendor and the product are, proceed with caution on your first order. Always ask for samples first. If you like what you see, test the waters. I typically start with a small $200 order and use PayPal instead of wiring the money that first time. With wires, when the money leaves, it’s gone. At least PayPal has some built-in protections. Now, after I have an established relationship with a supplier, I have no problem wiring money. There are other payment methods, like letters of intent or escrow-type services that I don’t personally use but are great options for small business owners. The U.S. Commercial Service and the U.S. Chamber of Commerce can provide information on all of these different payment methods and how they work. I am a big believer in working with my suppliers through Skype, instead of email or phone only. First of all, many people speak and understand English much better than they can write it. Often when you talk face-to-face, things don’t get quite so lost in translation. At the same time, being able to put a name with a face is one of the best ways to start building lasting relationships with your suppliers. So many times business owners get so focused on getting their product that they forget that their suppliers are human beings. If you take the time to build those relationships, if you make an effort to get to know them, they will move mountains for you. 5. Think culturally — and plan accordingly. You have to educate yourself on the culture you’re working with, including weather patterns and holidays, so you can work around the obstacles. For example, India has a monsoon season. So when cargo is transferred between planes during that time, it really needs special, waterproof packaging. I learned that the hard way, when I received a shipment that was so saturated that the balls of yarn were more like sponges. It was a total loss, and there was nothing I could do to recoup it. Now, we use special packaging during monsoon season. Although the holidays are high season in the U.S., Nepal literally shuts down the 20 days before Christmas with nobody — and I mean nobody — working. That means we have to make sure we order what we need through the holidays well in advance, so we don’t run out of inventory. Learning about these kinds of cultural issues upfront will save you a lot of headaches down the road. 6. Understand harmonized tariff codes, duties and other factors that impact product price. If you’re going to import, you have to learn about harmonized tariff codes and the associated duties, so you can anticipate real costs before you place an order. Harmonized tariff codes are classifications that indicate precisely what your product or material is, its function, its value and the tariff rates associated with that item. You don’t want to get into a situation like I did early on where I bought yarn with a 20 percent tax. I would have never bought it if I’d calculated the total costs upfront. No matter how great it was, no one would pay the price I’d have to charge for it to make a profit. The FedEx® Small Business Center has a huge international section that will not only walk you through shipping but give you information on importing, harmonized tariff codes, and direct you to other resources to help you get started with importing or exporting. The U.S. Commercial Service and U.S. Chamber of Commerce also have a lot of information on the topic, too. You just have to invest the time to read through it. 7. Take control of your shipping. I have all of my suppliers ship through my FedEx account, going through FedEx Trade Networks, so I have complete transparency from the moment it leaves their hands to the moment the shipment is delivered to us. I can see that the paperwork has been filled out correctly, and can track the shipment across various carriers. That eases anxiety, and also makes sure nothing’s left to chance. If you’re going to be doing a lot of shipments, I recommend you work with an overseas broker to consolidate shipments and coordinate those efforts. You can find a broker through FedEx Trade Networks as well. As I write this, I can honestly say that there wouldn’t be a Darn Good Yarn without a global supply chain. Not only did importing enable us to source a competitively priced, unique product that differentiated us in the market, but it gave us the opportunity to do some good. So, my last piece of advice is this: don’t limit yourself, or your business, by thinking it’s too complicated to source materials or products internationally. Take a look at what’s out there. Learn the nuances of international shipping. Read everything you can on the topic of importing, and talk to other small business owners at your local Chamber of Commerce meetings or other networking events. It’s a darn big world out there with all kinds of possibilities for your business. I hope you go and explore it all. 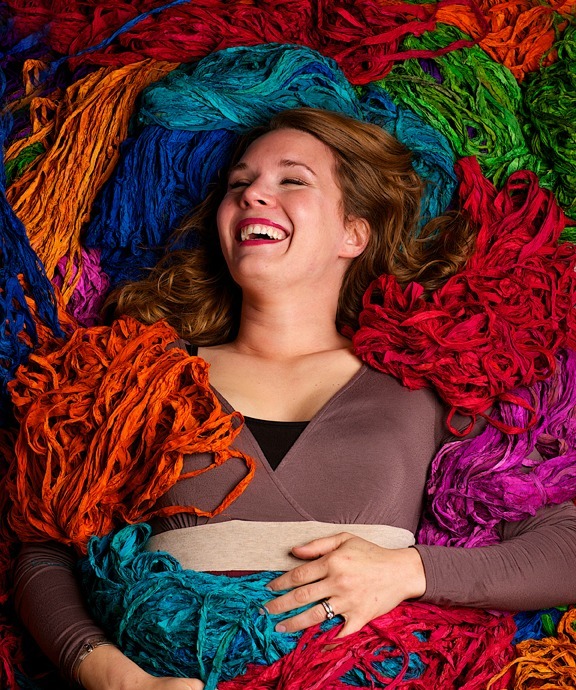 Nicole Snow is founder and CEO of Darn Good Yarn, an online recycled silk yarn company that creates social consciousness through crafting and design. Whether you’re a beginner or an advanced pro, we’ve got you covered.